The project aims to establish protected piped water supply to 103 rural households benefiting 704 people in Kundiguda village, at the Dhenkanal district in the state of Odisha. Odisha has the dubious distinction of being one of the poorest states in India as 40% of its populations live below poverty line standards. 86% of the population, according to national census, lives in rural villages and access to piped water supply is limited to just 1% of the rural households. The incidence of waterborne diseases has been alarmingly high due to consumption of contaminated water and it pushed the rural communities to remain in the state of vicious circle of poverty. The operational areas of Gram Vikas have a large tribal population and are physically remote with very poor basic services and facilities, rendering them as districts that have low human development indicators. The communities depend primarily on agriculture and daily wage labour for subsistence. The vicious cycle of poverty and morbidity work together to keep communities in these areas in a perpetual debt cycle, forcing them to lead sub- human lives devoid of dignity, self-respect, and the capacity to demand and negotiate with external forces for their rightful entitlement. In this context, the water and sanitation project is an entry point and through the process of 100% inclusion, the aim is to harness the inherent collective potential of poor communities to help them to determine the course of their development. Gram Vikas believes that achieving long-lasting, sustainable change in the community requires more than simply building water and sanitation infrastructure. Thus the MANTRA project also supports the creation of self-governing democratic institutions, which are inclusive of all regardless of caste, social status or gender. 100% inclusion is the most difficult part of the programme. The scope of this project is for the deployment of a water and sanitation solution for 103 families in Kundriguda village in rural Odisha. This encompasses 704 individuals. 1. The first step of the project is to achieve 100% consensus in the village. This requires all heads of households, male and female, to agree to come together to collectively address the village's water and sanitation problem. This step is all the more critical that social pressure is required in order to end the practice of open defecation, thus eliminating the source of water-borne diseases. Once the villagers come together, a series of community meetings take place to motivate people, and to help them understand the need for inclusive water and sanitation, and to establish the roles and responsibilities required of them by the project. 2. Gram Vikas works to build the confidence and skills of the community's women, helping them set up Self-Help Groups, and linking them to financial institutions. This creates a ripple effect that impacts the social and economic fabric of the community. 3. A Village Executive Committee (VEC) is set up in order to implement and manage the use of water and sanitation facilities. The VEC requires equal representation of men and women, and proportionate representation of marginalised communities (such as Scheduled Castes.) Gram Vikas plays the role of facilitator, building the capacity of the villagers to run the programme and manage their own institutions. The VEC is officially registered. 4. A village corpus fund is created, with a one-time average contribution of Rs. 1000 (approx. $20) per household deposited into an account. Better-off families typically pay more, and adjusted installment rates can be negotiated to ensure equity. Interest from the corpus fund is used exclusively for the construction of facilities for new households, thus ensuring 100% coverage in the future as well. 5. In preparation for the construction of toilets, community members have to provide money, labor and time to provide all locally-available materials, such as bricks. Gram Vikas provides a subsidy towards the purchase of materials from outside, but the community has to contribute the rest of the money. Gram Vikas provides masonry training, thus also enhancing the livelihood options of the villagers beyond the duration of the project. 6. 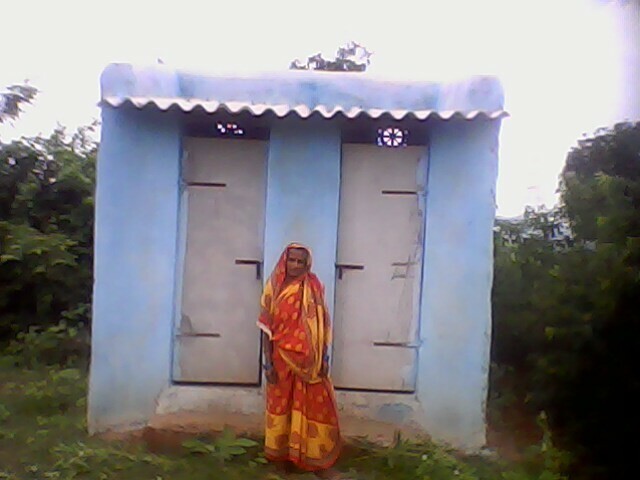 Sanitary toilet and bathing room blocks are built for each household in the village. Next, the water supply system is established, by building a water source, an elevated water reservoir, and a distribution network. Wherever possible, to reduce dependency on outside power sources, Gram Vikas employs an innovative approach to water supply called “Induced Gravity Flow”. This approach, developed by Gram Vikas, builds on traditional gravity flow techniques, but allows access to water at greater depths without the need of water pumps. Each household is provided with a 24-hour water supply and 3 taps: one in the toilet room, one in the bathing room, and one in or just outside the kitchen. 7. The community next establishes a maintenance fund, in order to cover ongoing costs. Community members also come together to generate income through such activities as fish farming in village ponds which were previously used for bathing, social forestry, and community horticulture. The experience of working as a community, making decisions together and mobilising resources creates a legacy of confidence and skills for the entire community. 8. Intensive capacity building and skill training take place for all stakeholders, in order to address the technical part of the project, as well as bring about democratic leadership, behavioural change, and institutional management skills in the communities. When the facilities are in place, and the community possesses the right skills and governing institutions to ensure the maintenance of the system beyond the end of the project, Gram Vikas withdraws from the village, and monitors the village's situation. A bore well is used as the source of water. An electric water pump is used to collected and stored water in an elevated water reservoir. The project will be finished in one phase. 100% inclusion of all families is a pre-condition for initiating the WATSAN work in a village. This is crucial from a total sanitation point of view, as even if one family continues to practice open defecation, water sources will continue to be polluted. 100% inclusion is also a step towards addressing exclusionary practices prevailing in society –mainly towards Dalits, indigenous communities and women. Other core values include cost sharing, and gender and social equity. Gram Vikas does not believe in the common attitude of “poor people only need poor solutions.” Gram Vikas motivates and enables communities to overcome deep rooted divisions along lines of caste and gender to come together and achieve high quality solutions, resulting in every household having a toilet, and bathing room, with three taps supplying piped, potable water. Gram Vikas believes that the poor can and will pay for truly beneficial development solutions, however the larger community also has a role in meeting the social cost for families, especially in areas where the government makes no or measly investment in water and sanitation infrastructure. Before the programme begins in any village, the village must come to a consensus that all families, without exception, will participate. This brings the community together across barriers of caste, gender and economic status, which for centuries have excluded large sections of communities from the process of development. The village must also raise a corpus fund of Rs.1,000 ($20) per household with the better-off paying more and the poorer less. The corpus fund is an acid test, demonstrating that the community is committed to the process of development. Interest from the corpus fund is used to meet the social costs of extending the water and sanitation system to new households in the future, ensuring 100% coverage at all times. The management of the project is undertaken by the Village Executive Committee (VEC) comprising of 6 men and 6 women, all of whom are elected democratically. In addition to constructing the water and sanitation infrastructure, Gram Vikas spend time building the capacities of this committee to enable them to gradually take over the entire responsibility for managing the water and sanitation infrastructure after Gram Vikas’ withdrawal from the village. Gram Vikas is an approved project implementing agency for the government’s Swajaldhara water scheme and is also the implementing agency for Orissa Tribal Empowerment and Livelihood Programme. Gram Vikas also facilitates the BPL and APL households to avail the subsidy of Rs, 4500 under Total Sanitation campaign. Before construction of the toilets and bathing rooms, young men and women, working as unskilled laborers, are trained in masonry. On completion of the training, they construct the toilets, bathing rooms, and the overhead water tanks. These newly trained masons are assured of work for a period of time if they so desire, many go on to successfully secure lucrative contracts in nearby urban centers, and within a year, their income earning capacity increases by at least three times. Families are encouraged to do backyard farming with the waste water from the bathing rooms that add to the diet intake at the household level. Women members are encouraged to form savings and credit groups and initiate small savings after which they are supported to take up Income generating activities. Although the government is supposed to provide and secure drinking water to rural communities, most often it ends up by installation of a hand pump in the village. With high use, the pumps often break down and the community depends upon the government functionaries to repair the system. In many instances such delays linger for long and people resort to unsafe surface water for drinking purpose. Government usually prioritizes bigger villages for implementation of water supply projects and the small tribal habitations are left to fend for themselves. There is hardly any intervention in these small habitations that can help the people to get safe water. In this context Gram Vikas prioritizes its efforts in such remote areas and works with the community to have systems to manage their drinking water needs. Empowerment of community: Gram Vikas will facilitate the empowerment of community to ensure the sustainability of the project in the long run. Village executive committees will be formed and registered in each project village and responsibility of maintaining assets will be handed over to them once Gram Vikas withdraws from the project area. Leadership development trainings and exposure visits will be organized for the community leaders. Corpus fund: To meet the future continuation of sanitation systems, village corpus fund with a contribution of Rs1000/- from each family will be mobilized. Return from it will be utilized for financing the social cost of extending the toilets and bathrooms facilities to new families’ in future and thereby ensuring 100% coverage all time. Capacity building: village youth, both men and women will be trained in masonry that ensures villagers are self-sufficient to make any repairs necessary. Monthly Progress Reports will be used to track the progress. In addition, the Project Coordinator will regularly update the Programme Manager of the progress. The details are available in the excel sheet attached. The beneficiary community contributes according to their financial and physical abilities towards the establishment of WATSAN assets. It may be in the form of manual labor or gathering locally available raw materials like sand, stones and digging of the pipe line trench. Is there is a report of Impact on your organization working in 1000 villages on water and sanitation? In your proposal you have mentioned regarding water supply to the individual households for 24 hours. Is there sufficient water to supply in 24 hours? Why not supply twice in a day? I am Chitra and work with the PME cell at GV. supplying 24 hours water on taps have been the USP of GV's approach with the belief that if urban consumers enjoy 24 hours round the clock water supply then why can't rural women / families aspire for this. In our initial phase of the programme - in the mid ninetees we has seen that when timed water supply was being made, people used to waste water more. As the water supply would start , one could see the women draining away all the stored water to store "fresh " water! With 24 hours water supply , there is no need to store water at the household level and wastage is comparatively less. With the project description it seems that you are working with a well define and structured project having all parameters. Under your sustainability plans you form Village executive committees in each village and get them register at village level. My question is what is legal status of this VEC ? And where you registering them in village ? weather it makes sense to get them registered at village level? Currently, we support the Village Committees to be registered at the village level under the Societies Registration Act. The idea is that these committees can , in future play the role of independent legal entities who can leverage other govt. / non government development resources to carry out development work at the village level. They can also take loans for any enterprise if needed. Dear friends at Gram Vikas, Your proposal looks good and focuses on a very relevant need. You talked about water-borne diseases in your note. How are you planning to address this issue in your proposed project? Your proposal looks good and focuses on a very relevant need. You talked about water-borne diseases in your note. How are you planning to address this issue in your proposed project? Consuming unsafe water ( which is rendered so usually because of faecal contamination due to lack of sanitation) is one of the most common reasons for people getting afflicted with water borne disease. GV s MANTRA programme has sanitation and water supply as a comprehensive programme. Without changing sanitation behaviour , one cannot achieve clean water, therefore we focus on 100% coverage of all households for sanitatiion. We keep a record of disease incidences in the villages on a monthly level , carry out health camps, hygiene education programmes etc. A combination of these and clean piped water has helped mitigate water borne diseases to a large extent. Summary of the project states that “The project aims to establish protected piped water supply in the village” but in your sustainability plan you are using your corpus fund for establishing sanitation facility in the villages. In your extensive experience is the corpus large enough to cover the maintenance of the water system and increasing sanitation coverage? Please clarify and provide some numbers estimated for the maintenance of 7x24 water supply system in the village. The corpus fund is not for establishing sanitation facility in a current year of operation. The fund is kept in a term deposit and the interest generated is used to extend support to new families only, that come up in the village after GV has withdrawn from the village. The village committee is responsible for deciding the quantum of support to the new family. The idea is that all the time in future there must be 100% coverage of all households. The maintenance fund is a separate fund and is generated solely for the water supply. 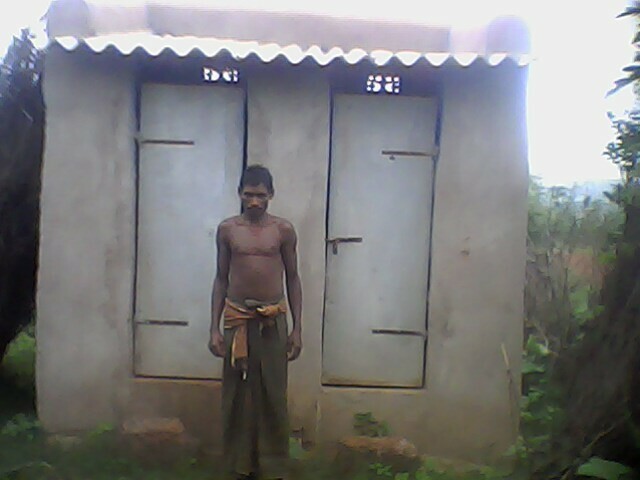 It varies from village to village with most villages collecting 30-50 rupees per family per month. in addition to this, other revenues that are generated from village commons like plantation, pisciculture etc are added to the maintenance fund kitty to meet expenses related to O&M. Usually for recurring maintenance expenditure- there is a pump operator's salary which ranges from rs. 500- Rs. 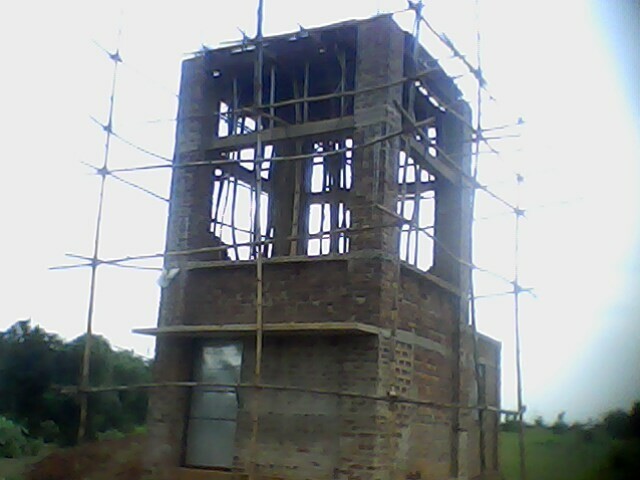 1000 per month, (varies from village to village), and the electricity expenses which ranges from Rs 2500 to Rs. 4500 or sometimes more. This amount is divided amongst the households to generate the maintenance fund. Pls let me know number of personnel hired & their role? ?Are you hiring Engineers & hydrological facilitator for proposed project?? Yes, we do have engineers who help do the technical estimates, but the actual planning, implementation and monitoring is carried out by barefoot engineers- supervisors and coordinators who have learnt the technicalities through experience and training on job.The water source location and selection is done through these staff alongwith village community members. This is just a thought. I was wondering if you would like to link your interventions to a school health activity. Behavioral change in our view is best achieved in primary schools for hygiene and sanitation. Prakash is the questions is for me ? we are with child rights classes we are also started using CMC health materials to educate children on health and hygiene and I agree with you. How many of your projects are gravity and how many borewell with electric pump? What is approximate monthly electric charge? And what is the approximate outage where no water is available due to blackouts. What, if any, are incentives (you may be introducing thru education) on water conservation? This applies to fixing leaks immediately, etc. I understand GV's philosophy to give the poor the same amenities as urban rich (or better, since many urban areas do not have 7x24 water). But here is where others can learn from your projects - since you are implementing new systems, you can start by instilling conservation values. a) As on 31st March 2012, the no. of borewell systems is 498, dug wells-115 and gravity fed systems-429. b) Approximate monthly electric charge is in the range of Rs. 6000- Rs. 8000.
c) Length of power outage varies seasonally - high in the summers. Whenever there is electricity, the pump cycles so that the tank can be filled up. In times when it is difficult to fill up the whole tank, the committee regulates the water supply and provides it timely- in the morning and evening only. d) In villages where there is pumping, there is a pump operator who runs the motor.. He is trained in fixing leaks and to check if somebody is wasting water by not replacing a broken tap etc. He also learns the plumbing work when the water supply system (distribution) is being done in the village. Furthermore water conservation is a topic of discussion in the committee meetings and in the training programme on hygiene education, children are made aware of water conservation. We have also introduced metering systems in the villages. Initially there is an apprehension from some members saying that to charge as per use will create more conflicts, therefore it is better to levy a flat charge across all households. We need to keep talking and convincing them that this new system will not create conflict and have to guide them through to fix the charge and collect accordingly. So we are happy you plan to provide regular updates about project implementation progress. But in this section we want to know what you (or community) will track that can be graphed as a time series? Could you specify at least 3 metrics that will help you assess how the system is operating over time? Need a measurement frequency and a scale (could be yes/no or percentage or number). We will make systems to post updates on implementation progress too ! Thanks, can you update the metrics section with the above data? Look forward to working with you to roll out the system. The individual household contribution is Rs.1000/- If you calculate at the rate of 12% you will be getting Rs.1030 as an interest out of Rs.1,03,000 ( corpus fund)from 103 families. For a year you may get only 12thousand only. Is it sufficient to cover the entire households in the village. could you pl. clarify with total no. households in the project area. I think any contribution from community will be small percentage , rest to be mobilized or getting funded. Thank you Dhanam for the comments.The corpus is to address the issue of 100% coverage of families after the project is over and GV has withdrawn. During the implementation phase we cover all the families existing at that point in time in the village. After the programme is over , and new families come up- sons getting separated or any new family settling in the village, the family has to contribute to the corpus and the village committee can extend support to the new family - as GV had done earlier (To the extent of Rs. 3000 per family) , from the the interest generated out of the corpus. This happens only after 3-4 years of GV s withdrawl. The element of sustainability of open defecation free habitations , in our experience , can be achieved only if we can build mechanisms to address population / HH growth in the villages, and for this purpose financial sustainability is important. 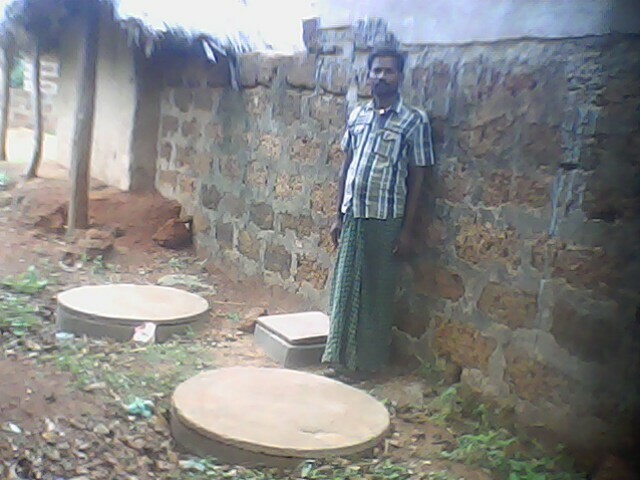 We keep a track of the number of new toilets made in the old villages with the effort of Village committees, without any support from GV and it is working well. Hope we have been able to answer your question. what is the gross income of the family and source of income and what criteria the facilities are given to the family, usually the families who are well off also are not aware of importance of sanitation and water( or this is not their priority) , these families may require a good awareness programme or examples? Your plan is good. Keep it to monitor even after implementation at least once in a while. As a new implementer on water and sanitation in rural area , I am glad to read your project proposal and learn the strategies and wide range of facilities you are providing the community in different geographical situation in India. 1, Is not 1000Rs is a more for community ,do they pay?, have yu implemented this in earlier projects???. 2. Gender and social Equality are big terms and issues to be addressed in different stages.water and sanitation is one tool, how the changes your foreseen?? thank you for the questions. Rs. 1000 per family does look significant - but this is usually an average. Poor families are cross subsidised by the better off families- but the norm remains - the village must raise a corpus of Rs. 1000 per household to be put in a term deposit which can be used by the village committee for extending sanitation services to new households in the future. Sorry, I pressed the sent tab abruptly! The collection of the corpus is an acid test - it helps us understand whether the village as a whole will take the prog. to its last mile or will hang it up midway. We have tried this in nearly 1000 villages in orissa and it has worked! Poor people have found out ways to leverage resources to build up the corpus. On gender and social equity- big terms yes, we donot claim that the MANTRA prog. address these in its entirety. but in the design we make deliberate provisions to see that women get space as office bearers and are participating in the meetings. Water and sanitation - being a women's issue primarily, we have seen that they are the force in the front and at the back too when there is a conflict and the male members stall the prog. Women in such instances have played a prominent role in taking forward the programme. 100 percent inclusion is soemthing which villages hardly experience through a government or non government prog. In GVs approach for the first time perhaps the poor feel they are treated equally with the better off in the village. Every one in the village gets the same facility and this is a big equaliser. Coupled with the fact that in India water is a symbol of social exclusion- where out castes and low caste people were forbidden from using the same water source as the higher caste people. through this approach GV shows water as an equaliser- everyone gets piped water from the same source and same tower. However inequities perpetuated through centuries do need time and water and sanitation gives scope to address aspects of these inequities - there is much more hand holding needed to work on may other nuances of equity that affect women and the deprived groups. Thank you for the answers chitra , I am still trying to understand what is the average income of the family, as large number of migration is happening to urban from these areas, ( recently enrolled 900 construction workers to welfare programme in Karnataka ,only in part of one city.) and all were from these areas. Is any of these issues your organization is working on as you have touched more than 1000 villages. Yes ,As you mentioned many issues are deep rooted and takes ages to changes , still working and reaching huge (1000villages ) you will have better learning and strategies to propose policy to local governance. Is your organization also working on lobbying and advocating the issues with policy makers??. The average income of families vary but in most villages - around 70% of the families are categorised as BPL. Migration is a reality even in this area especially from the southern and western districts of orissa. As a development organisation with limited resources and human resources , we cannot touch simultaneously on all the problems facing rural areas. We try to see that government employment schemes like MGNREGS is being used by the villagers and they are equipped with understanding and using RTI when they need to hold the people concerned accountable. GVs core strength has been in the water and sanitation as well as tribal issues and our advocacy efforts have been in this sector. The Executive Director, Gram Vikas, Mr. Joe Madiath was the Chairman of the working committee on water and sanitation for the 12 th Five year plan and his recommendations on water and sanitation was critical to develop the Nirmal Bharat Abhiyan. Thankyou chitra for the detail answers and clarity of your organisation. Gram Vikas' approach, focus, and process are an example to the rest. However, its internal organization process creates opacity and its hard to follow and track project activities and progress. Its uncomfortable for funders today to only see a final report. Both implementation activities and monitoring and follow-up activities need to be, at some level, shared so that not only we understand the effort that goes into projects, but also create an environment of sharing and learning. Gram Vikas has experience at grassroot level which is clear from their answers. My recommendation is yes for their project. The approach of the project is integrated and comprehensive. The organization has a lot of experience and connectivity with people. The project focuses on a pressing need in a remote and needy areas. It is project worth supporting. This is a good project as it provides clean water at a relatively efficient cost. Moreover, I like the fact that this project is mindful of the poor and gender equality. That said, I would like to see more of these values reflected in the post-project follow through, particularly with respect to sanitation development. I think it would be synergistic to see a gradual approach to clean water and sanitation "evolution" for this area. The main drawback I see with this project is that is mainly for about 100 households. Not sure if it's due to area density, but certainly with a piped water system, more subscribers can be added to create not only financial sustainability in terms of revenue, but also serving more as demand increases. That said, I'm not clear in terms of project design capacity in terms of water source and filtration. If demand increases in the next 5 years by X%, will the system be able to provide high quality services?